Hylamide is like the cooler, more Instagram worthy big sister of The Ordinary range. The formulas are more complex and equally the prices are higher, but with good reason. They're a little more thought out, however they do more for your skin. They've been around for way longer than The Ordinary, too. They're stocked at Beautybay AND Boots, so you can probably tell they're a big deal! I was contacted to try out some more products by Deceim's lovely PR team - which came just at the right time - as I was about to order the Glow Booster anyway and have a little stalk of the site for anything I could possibly get my hands on that wasn't sold out (as everything seems to be these days!) I briefly explained my concerns for my dry skin and mentioned that I had my eye on the Glow Booster. I was recommended the Hydra Density Mist alongside too, which is a product you spray before your serums/moisturisers that hydrates and soothes skin (a toner, basically) with the Booster Low-Molecular HA Serum, a product that will go deep into the skin and hydrate the lower layers. This creates a beautiful glow to the skin and a super subtle 'tan'/colour, so it's perfect for Winter if you're a bit pale like me. It fixes dullness, uneven skin tone and lacklustre skin. I can honestly say, this is an absolute god send for me. I am extremely naturally pale and this has managed to give me a glow from within and slight 'tan' on my face and neck. It's not like a horrible, cheap fake tan though - that flakes off in dribs and drabs for 2 weeks, as long as you use it sparingly and not every night. I did use this every night for a week or two but ended up noticing a considerable difference between my hands and neck/face, so I laid off for a while. It is a well formulated product that will leave your skin looking refreshed and alive even after having only 5 hours sleep! I haven't experienced any flaking since using this, it's not as harsh as a regular fake tanning product. One issue I did have, was making the product spread evenly over my face and neck. It is a very watery consistency, so it felt as though I was using a lot of the product. Hyaluronic acid is one of those amazing ingredients that people don’t even realise they need or are even using (It's in a lot of products that people use already!). It’s the magic key to hydrated, plump looking skin. It’s produced naturally in our body, so this one isn’t a scary purchase. 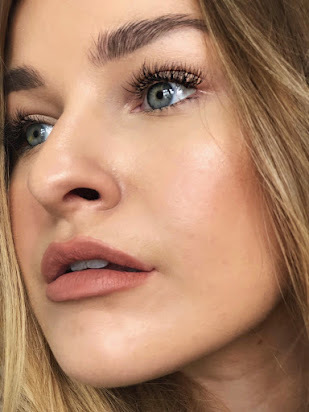 I often find people complaining that their skin felt tighter after using a hyaluronic acid product - but this is not a product to be layered and then left. it holds 1000 times its weight in water, and if you’re not adding a good moisturiser on top of this product, you’ll be left with skint that feels a little dry, as the acid will “pull” moisture from your skin, not feed your skin. Make sense? 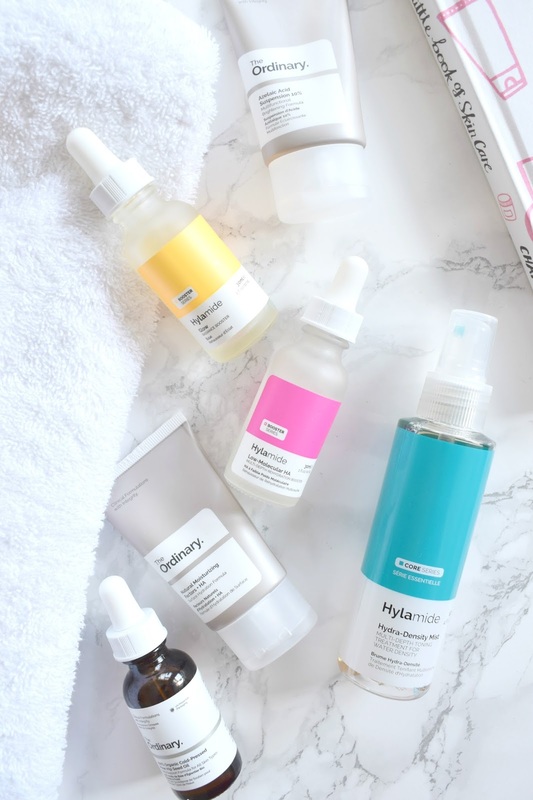 Hylamide's Low Molecular HA is a "stronger" (more complex formula) version of The Ordinary's Hyaluronic Acid, and I can say it definitely delivers. It provides much more noticeable hydration with 5 different HAs, but with a £13 price difference, you'd probably expect that anyway. I love to use the Ordinary during the day as is very light; perfect for underneath my daily moisturiser and SPF - but Hylamide's formula is my go-to for the night, to provide that plumpness and hydrated skin I'm after whilst I sleep! The texture is super silky and 'jelly' like; the complete opposite to the Glow Booster. You can use the tiniest amount and it will go a long way. This product wasn't as 'wow' for me as the other two. I liked it, and it definitely hydrates skin, however because I am using hyaluronic acids, vitamin c serums, facial oils etc, this product seems a little underwhelming, as if I don't really notice if I use it or not. I like it, but I'm not sure this has a place in my already packed out routine. Hylamide do state that this is a lightweight hydrator - so it's pretty much a really great toner. One thing I did notice about this, was that it helped the glow booster to go a little further than it would have without this slightly wet base - I think I have found a good combination, here. 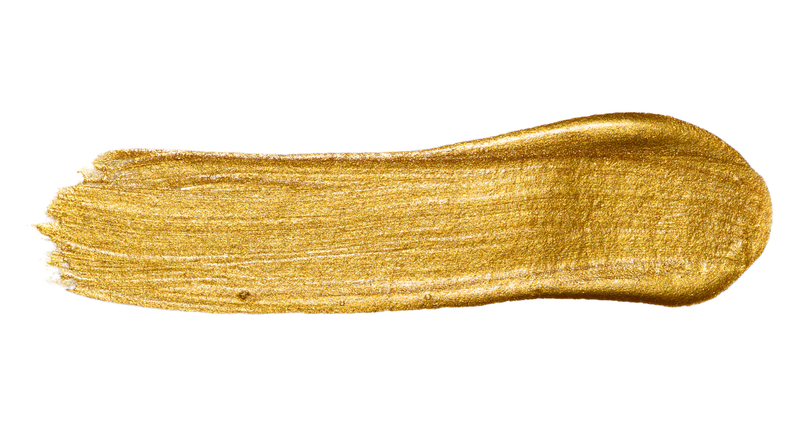 Overall, my skin feels beautifully balanced, plump and GLOWING! I can't recommend these products enough and if you're looking for some new additions to your beauty routine, you should check out these products, as some people will appreciate the more complex formulas that deliver targeted and truly honest to the claim results in a short space of time, provided they're used correctly and in a half decent routine. I've tried this brand before but the products sound fab! The packaging is so minimal I love it. Growing up there wasn't much emphasis placed on skincare and what you were told to do ended up hurting you more than helping. Now, I am fixated with healthy looking skin. I have never heard of these products, but enjoyed your review. I'm a pale girl too so the radiance booster sounds amazing. Thank You for sharing your experience. All of them sound really great. The Rehydration Booster is something I would love to try. You've convinced me to get the Rehydrating Booster! Sounds exactly what I'm looking for!